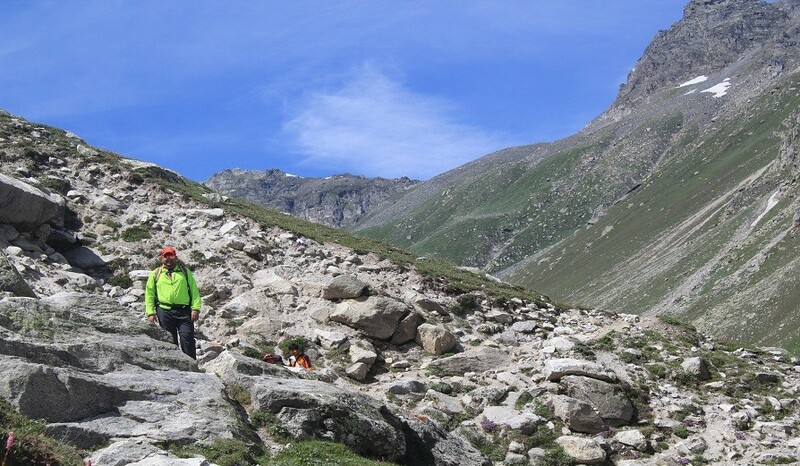 The unforgettable high moderate Himalayan Trek to Hampta Pass is in the region of beautiful Himanchal (Manali) at an altitude of 14100 ft. high. For Hampta pass trek the best season is from June to September. 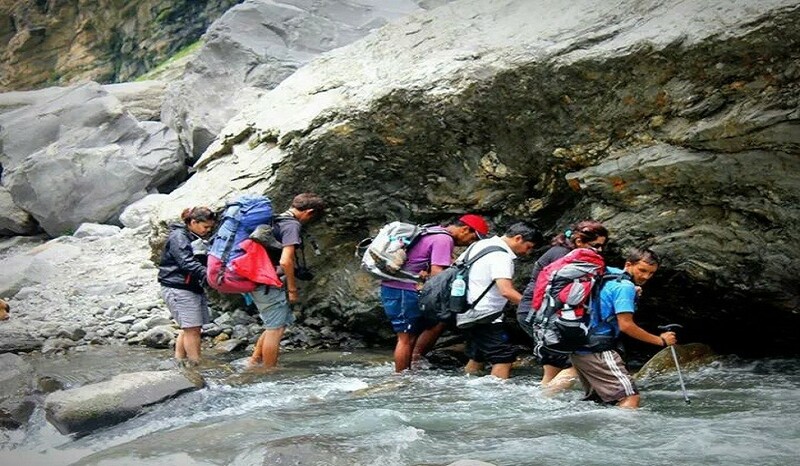 The Hampta Pass trek gives an amazing experience of exploring your life with special sites of nature. One gets an incredible view of rock faces, frosty valleys, thick pine forest, open meadows, flora belts adrenaline pumping waterway and pleasant as well as adventurous crossing areas. All the tourists will be reaching manali which is also known as the paradise of india by afternoon. Many types of transportation facilities buses and cars are available for you to reach manali. In himachal pradesh kullu and manali are the too small towns which are located very close to each other. Both the places are visited at the same time by all the tourists. After lunch at a restaurant, you can start your journey for today towards chika. It is situated 10,250 feet about the sea level. All along the way, you will be able to see a very famous temple which is known as the origin of small hot spring. This temple is called vashisht temple. According to beliefs the spring is holy water. This place is just 3 kilometres away from manali. If you are going by a cab, then there is an intermediate destination called johari. After you have your final crossing aleonallah, you will reach beautiful meadow, having full of greenery. The grasses on the meadows are evenly spread giving you a nice glimpse of the scenery. After travelling for 2 to 3 hours in the same direction, you'll reach the final destination for the day-chikka. You will be camping beside the stream of water and you can spot very beautiful site of the waterfall from the camping area. After having a good tight sleep, have the healthiest breakfast and get ready to continue your trek. For today, your destination will be bhalu ka ghera. This place is famous for brown bears and hence the name of this place stands on them. During winters, all the brown bears come over here and hibernate. After trekking along the river, you will face some attitude to come across. Many different varieties of flowers can be seen all the way. After some time again you will again see a stream of water flowing. It is recommended to cross the stream on the morning itself as that time the water current is slow and steady as compared to the later time of the day. Again you will need to keep yourself left till you do not reach your campsite for the day. Totally you will travel about 8 kilometres, and it will take approximately 4 to 5 hours to cross so much distance. Take some rest in the camp and enjoy the scenic beauty down there. It is very important for you to start little early for the trekking today. Keep yourself left of the valley which you will travel full day. It totally depends on the time of trekking but sometimes if you look back all you can see is some snow bridges. Maintaining left is the ultimate object in this trek, and you will keep it till you reach hampta pass. 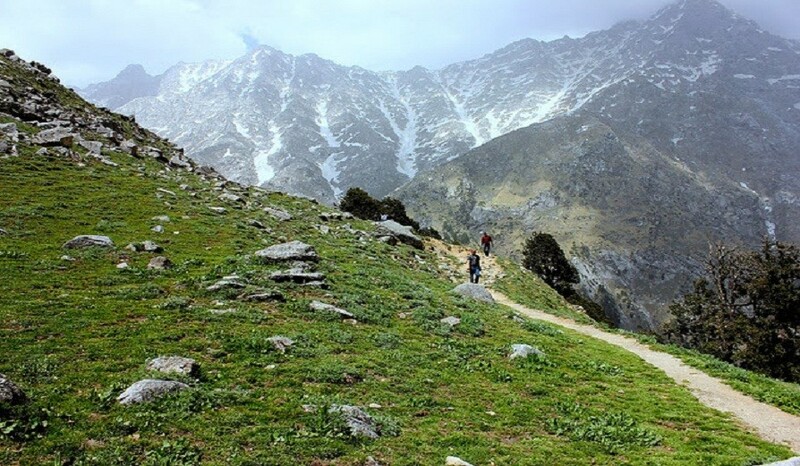 Trekking in hampta pass just drives you crazy as it is one of the most fabulous experiences you can have. It has so much natural beauty that cannot be explained in words. It is a perfect location to click some fabulous pictures. Stalls are provided on the way where you can take some rest. 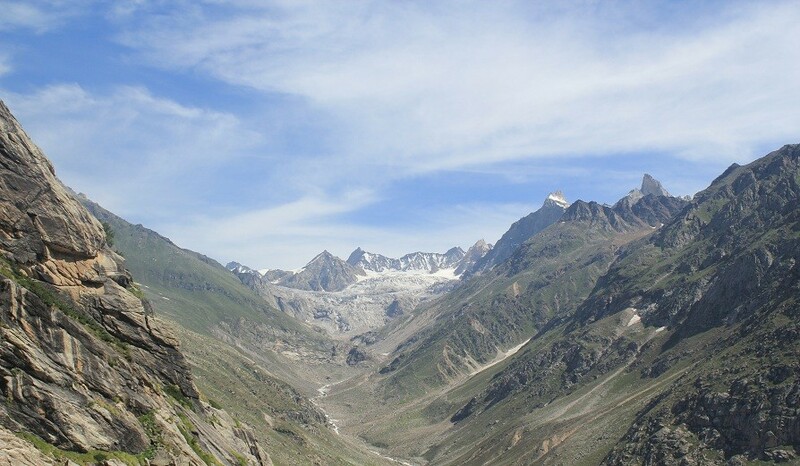 About 14000 feet above the sea level is lahaul which you will reach after leaving behind hampta pass. There will be a surprising element waiting for you. There you can view a field full of snow, and it is covered for almost the entire year. The trekking is not that difficult as the altitude is moderate, but the last bridge to cross will take some of your efforts. The climb is very steep and may be little difficult for your legs. As you complete the climb, it will follow a huge descent. The descent terrain will be vanished with a flat surface and many boulders all over the place very soon. After travelling for about some time in the direction, you can again see some stream, and you will have to keep left. After travelling in the levelled ground for some time, you will be heading closer to your destination siagoru. It is situated 13000 feet above the sea level and is the best place to set up camp for the day. The beauty has its own level and gives a majestic feeling when you view the mountains and river streams. Today was a bit hectic day for you as you would have traversed 14 kilometres all together making you very tired. So do not waste any more time and get to your bed soon to give your body some rest. Get up soon and have your breakfast. Get ready for the trek and cross the river which is seen from the campsite. Half of your trek is very easy as it will be full descend and the rest of the trek will be very tiring for you to traverse very steep altitude. It will make your path difficult when you will face the rock zone. After descending you will see the large valley of river chandra. It 2-3 hours your will reach chhatru. From there we will drive to kaza. 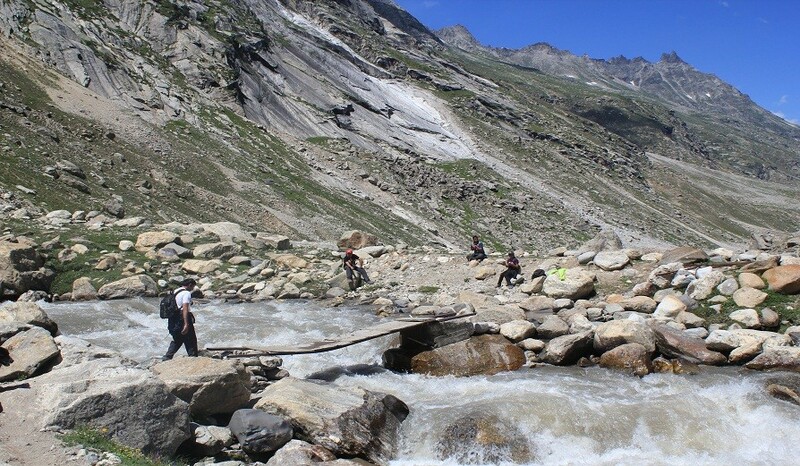 Chandra river is at 11000 feet above the sea level and is located on the highway of manali and kaza. It is an exhibition place as one side you can view the mountains full of snow and the other side you will view barren mountains. On the way, we will stop for lunch at the famous chandra dhaba at batal run by chacha and chachi who saved the lifes of 110 people in june 2010 and were reconginsed by the president for their philanthropy and bravery, we will drive to kaza and stay at a cozy homestay with local experience where you can take rest and take it easy. From kaza we make a visit to the oldest monasteries and the highest villages of the himalayan terrain. These villages are magical with the most ancient distinctive buddhist tibetan culture and rustic and raw dry and high mountain views. The name chandra tal is because of the moon shaped lake which has crystal clear water. The sight from the mountains of chandra tal is an awesome experience, and you can spend some memorable time over there. Kunzum lt also gives a night sight of the chandra bhaga range. On the way, you can see that there are many prayer flags. These prayer flags are usually put up by the people over here in various occasions. There is also a good luck wheel which has a major significance in the daily life of people. It is assumed that one who rotates the wheel; it will bring good luck in their lives. There is a trek from kunzum to chandratal and one may opt to do so or, night stay will be at chandratal camps overlooking the chandrabhaga peak. You can leave for your city by that day itself of you can wait for the day over the hotel and leave for your home next day morning.